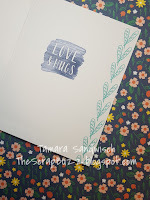 Welcome to The Scrap Buzz for this month's Technique Blog Hop. You have have arrived from Lauren's page. After you're finished here, click the link at the bottom to hop to the next consultant's page. I wasn't sure what to make this month. I'm design challenged as it is, but usually I start with the technique and think of a way to use it. This month's theme is a paradox of vague and specific! Fortunately, once I got started, I came up with several ideas and ways to share. People say I'm "detail oriented." That's why my blog posts are so long! I want to give everyone the whys and hows that I often find myself asking. Children are notorious for asking "Why?" apparently I never got past that stage. 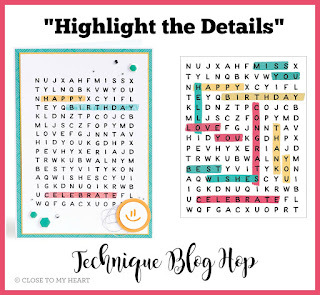 Before I can "Highlight the Details," you'll need to NOTICE the details. 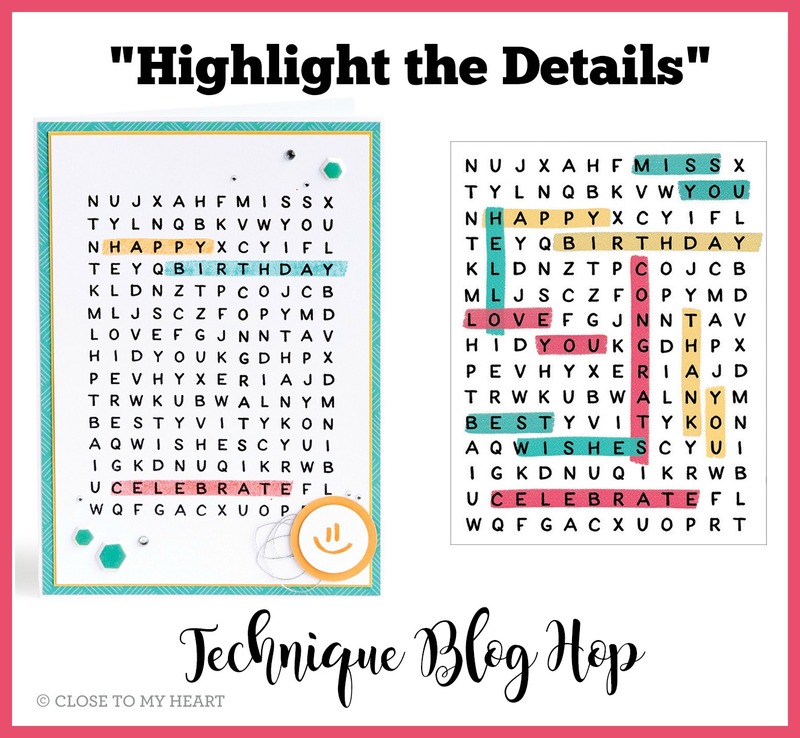 While thinking about this, I realized there might be details about Close To My Heart products and the Seasonal Expressions Idea Book that you have overlooked. 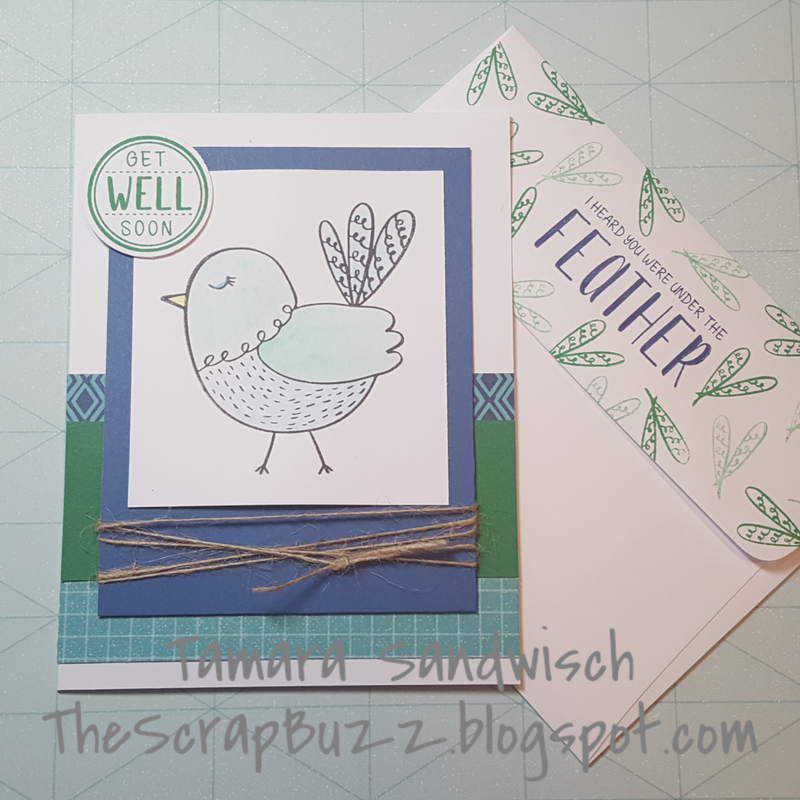 I started with Under the Feather stamp set. I used it last month for my card class and noticed there wasn't a lot of artwork online. I'm not fond of fussy cutting stamped images, so I needed an area large enough for the whole bird. 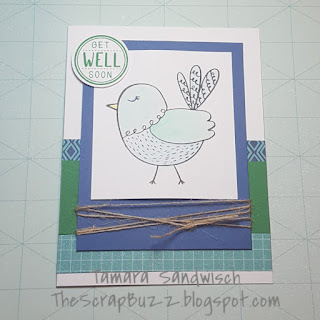 The card design is from a retired Workshop On The Go brochure for the Frosted cardmaking kit. The color combo idea came from page 33 in Love of Color. DID YOU NOTICE? I switched two of the three colors suggested for similar ones in the So Much Happy collection: Sapphire, Clover and Lagoon. DID YOU NOTICE? Our cardstock is two-toned with a white core. I used the lighter side of Sapphire on my card. It was a little softer and not as stark, IMO. It's also fun to mix both tones on the same project. You may have seen this done on 3-D flowers or in the recent Love Blossoms special. One of the reason CTMH paper packets are so versatile is that the B&T Duos are also double sided. It also makes it hard to decide which one to use! Narrowing it down by color helps, a little. ➽ But, don't forget the zip strips! The diamond sapphire/lagoon pattern is a zip strip. Anytime you see a 1/2" or 1/4" strip of paper, even ribbon, on a design template, you can use a zip strip instead. DID YOU NOTICE? The back of the zip strip lists the name of the paper collection, paper pack item #, featured colors and CTMH copyright. You can read my previous blog entry about zip strips here. The bird is stamped with Intense Black EI Ink. DID YOU NOTICE? We have several types of black ink. ➽Here's how to figure out which one you should use. 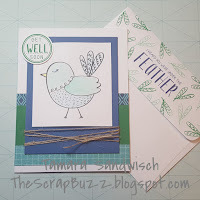 After I added cardstock and patterned paper, I wasn't sure what to do with the bird. I thought the boldness of markers would make the card too busy. I used my watercolor pencils to add just a hint of the blue and green colors. DID YOU NOTICE? The pencils were updated last year. There are now 36 in the set. I had to force myself not to store them in their packaging, but where? 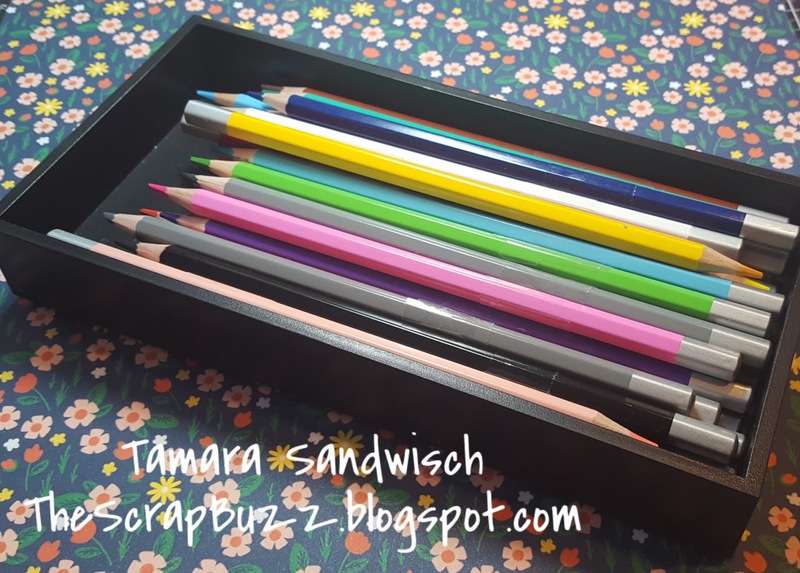 ➽They fit perfectly in the Workspace Wonders small tray! Watercolor pencils are different from regular colored pencils because they can be blended and shaded by adding water. You can color normally and then blend with the brush, or you can pick up the color from the pencil tip and add it with the brush. I used the small waterbrush. DID YOU NOTICE? We carry three sizes of waterbrush. It's often the final details that make a card stand out. Sometimes it's a technique like edging the paper or embossing the sentiment. Or it can be the embellishments that take it up a notch. When a project looks like it's "missing something," adding an embellishment is often what it needs. 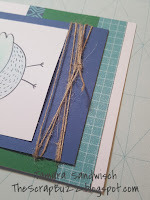 The Frosted card used twine. My card uses White Burlap Ribbon. DID YOU NOTICE? The burlap ribbon can be separated into smaller widths or individual strands. I used thin 3-D foam tape to attach the Sapphire cardstock to the card front. Not only does this add dimension, but it allows for the lumpiness of the string, ribbon, etc. we often use. DID YOU NOTICE? 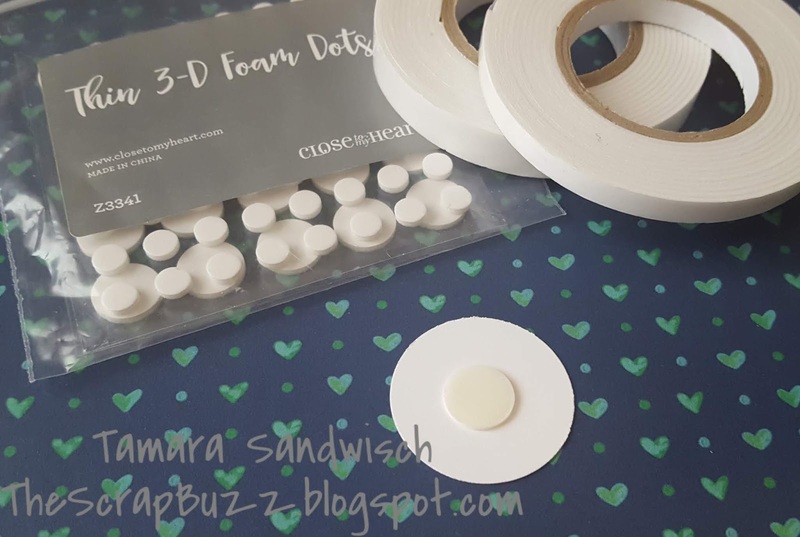 3-D foam tape comes in tape or dots and both thin and regular thickness, plus specialty round window foam for shaker cards. When making sample cards, I consider it done when the front is finished, but I never mail them that way. I love that my customers take the time to add a sentiment and often additional stamping, to the inside of their cards. On this card, I used the small feather stamp to make a border along the side. In hindsight, it resembles a heart! When I was playing with the "fuzz," I swiped my stamp across the ink pad. Leaving the ink like that gave me a different look for the sentiment. 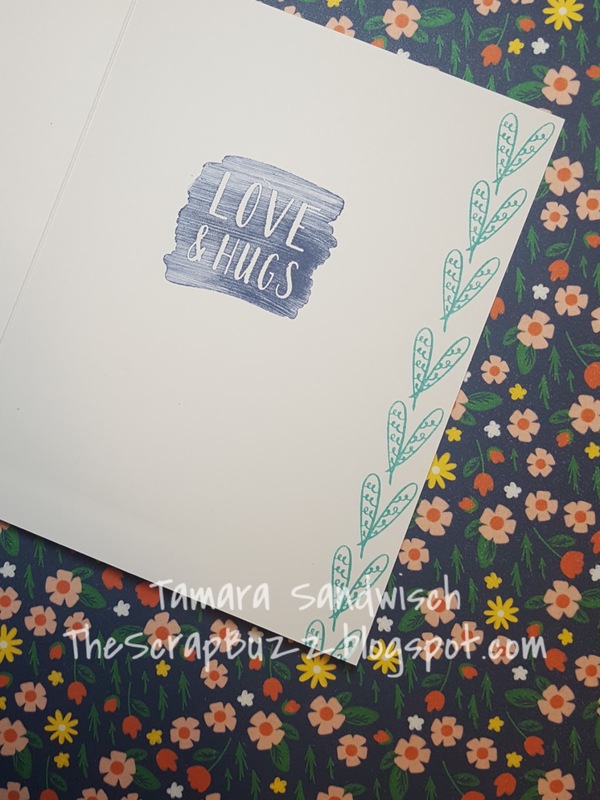 I think this technique is perfect for this style of stamp! Sometimes it's hard to get a good image with a solid stamp, see my tips below. I can't wait to try it with similar stamps. 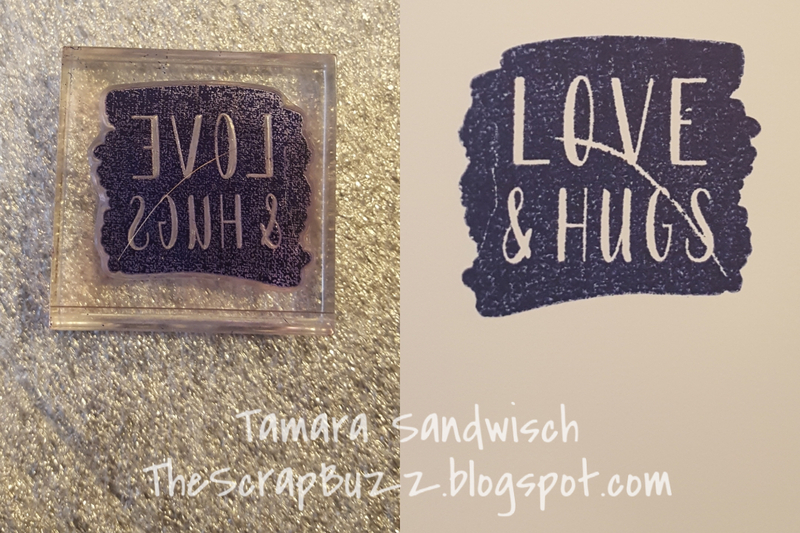 Use the "squishy thing" that comes with every Close To My Heart stamp set, or the foam side of the Versamat. Check your stamp for ink coverage and/or stray lint. Also, make sure there isn't extra ink on the block. Using a block size close to your stamp size will help prevent extra ink on the block. Check your stamping surface for excess ink. 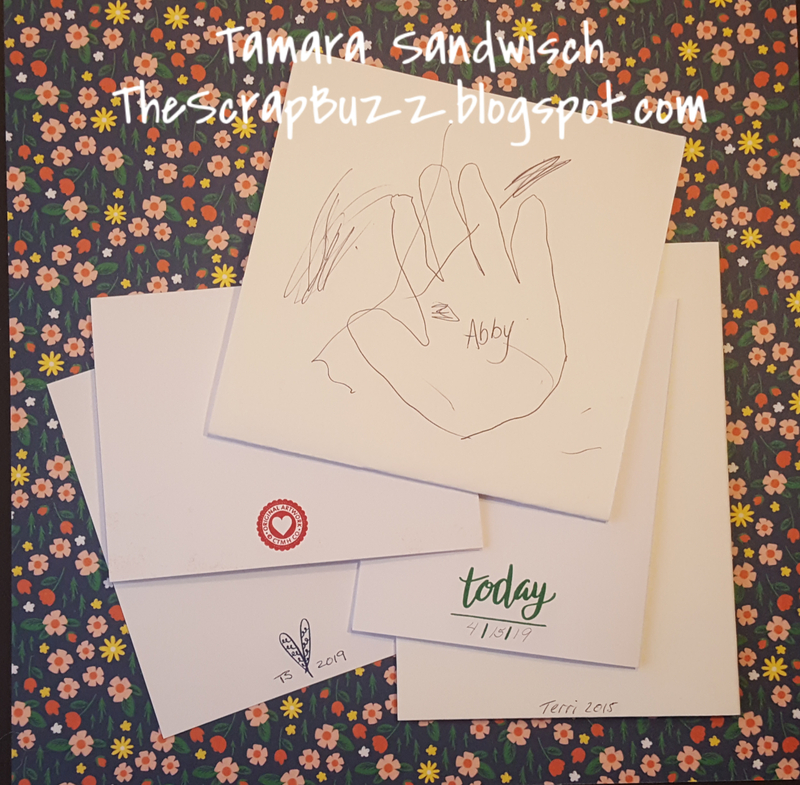 After all that work, stamp and/or sign your art on the back of the card. People don't throw away hand-made cards, so including the date of the occasion adds to the memory when they run across it later. When you do multiples, like Christmas cards, you can stamp the year. It's also a great place to add extra art from your assistants! I like to use a small stamp that coordinates with the rest of the card. This stamp set is also a great option for the back of your cards. It even includes the copyright in accordance with the CTMH Angel Policy. Finally, don't forget the envelope. If you're sending happy mail, you might as well brighten up the letter carrier's day too! Plus, it guarantees that your piece will be opened first. DID YOU NOTICE? The style of our envelopes in the Value Pack make it easy to stamp without running into seams. The type with a pointy flap can be challenging. ➽ For any style, stamp with the flap in the open position for the best results. DID YOU NOTICE? 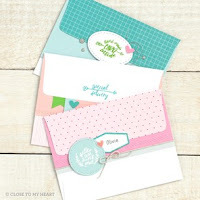 "This is Not a Bill" stamp set on page 7 is perfect for your envelopes and the back of cards! Be sure to add it to your wish list if you are hosting a gathering with your consultant before the end of the month. If you don't have anything scheduled, contact your consultant NOW. ➽This awesome set is only available to hostesses during Seasonal Expressions 1 catalog, which retires April 30. That means time is running out on the great papers and stamp sets featured in the book and it's an excellent time to host a gathering to complete your collection. If you don't have a consultant, I'd be happy to help you (contact form on the left). Next, head over to see what Melissa is sharing this month. Her page also has a list of all the participants in case you get lost.